There's no better way to bring a bit of play to your party than incorporating trendy treats. Thus the reason chic cookies are topping the charts for 2018 must-haves! From darling diamonds for the newly-engaged to tropical treats for any summer soiree, these are almost too darling to devour. Start dreaming up a just-for-fun fete so you can indulge in these tasty treasures! 1. A Girl's Best Friend: Was it diamonds - or dessert? With these colorful cuties, you don't have to choose! 2. 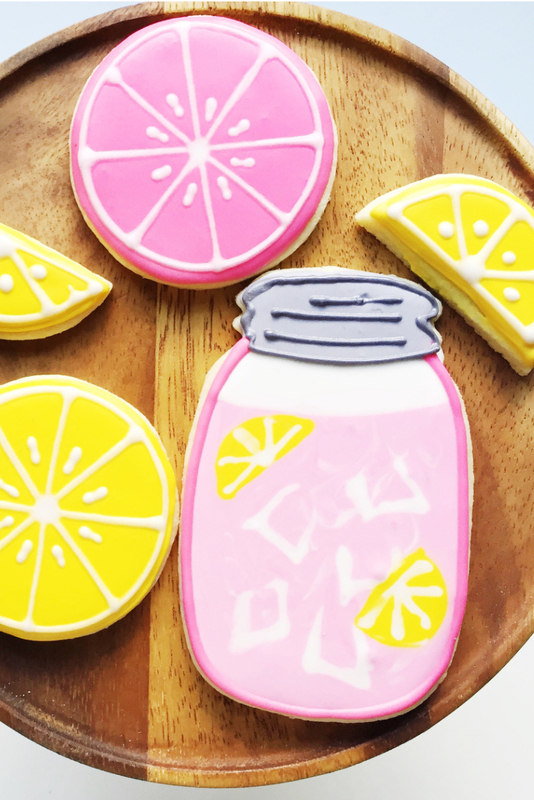 Squeeze The Day: Take that lemonade stand to the next level with an extra dose of adorable! 3. Purr-fections: Cute cat cookies. Need we say more? 4. Chic Shells: Ariel approved, we adore these sea-inspired beauties! 5. Fab Fruit: Vibrant & adorable, these fruit themed cookie skewers are way more fun than the real thing. 6. Cacti Cuteness: Planted preciousness. We're succas for these stylish little sweets! 7. Happy Hive: These beautiful bees brighten up any get together, they'll be all the buzz! 8. Unicorns & Rainbows: Pure magic. This charming creature makes the ultimate cookie for the glitter-loving girly girl in your life! 9. Sweet Dreams: Is it just us, or do these seem Audrey inspired? 10. Rockin' Retro: Edible Nostalgia. These skates will boogie right into your heart!